The summer I was eleven years old, I rode my bike every Saturday in the blazing heat to the El Portal Theatre in North Hollywood for the first matinee. I couldn’t wait to get inside the theater where I knew I would be cool and buy my popcorn and sit, as I always did, on the aisle halfway down. I was always alone. I don’t mean that as sad; I liked it; it was an adventure. I never knew what I was going to see and it didn’t matter. I was in my world: the movies. One Saturday, after the newsreel and coming attractions, an explosion hit the screen — Elia Kazan’s East of Eden, the story of a lonely outcast who desperately needed his father’s love, whose brother was the special one, whose mother had vanished. As the film continued, I saw this kid’s life, searching, desperate, heartbroken, mean, haunted, confused. I wasn’t in a movie, I was in my life. I was this kid. He cried, raged, was romantic, weak, uncertain, vengeful, and, ultimately, brave. When the movie ended I was shaking all over. It was freezing from the air conditioning, but that wasn’t the reason I was shaking. As I walked out of the theater in shock, I was hit with 100-degree heat, and I almost passed out. I had just seen my life on the screen, but it wasn’t my life, it was John Steinbeck’s, and Elia Kazan’s, and James Dean’s, and Julie Harris’s, and Jo Van Fleet’s; great artists. I cried for days. I woke up in the middle of the night, every night. My heart was so full, I was so alive with ideas, and with hope. After that blistering day in North Hollywood, my life was never the same. 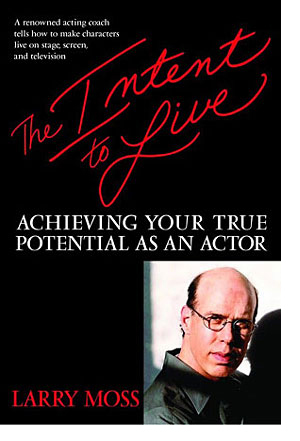 I was connected to a dream – the dream of becoming an actor.